We are in Lower Normandie, roughly in the middle of a ‘cocked hat’ created by Coutances, St Lô and Villedieu-les-Poêles. The route to the ferry port of Cherbourg from the departments to our south passes immediately by us. Departments 35, 53 & 61 are the closest, but if you are UK or Ireland bound via Cherbourg from further afield (eg. departments 44 & 85 as far south as 33, 24 & 46) you will also pass right by our way! Also, if you are travelling from Brittany by road up the country towards the short Channel crossings or tunnel, you will almost certainly use the A84. We are very conveniently located to this arterial route. Having said how convenient our location is, we have to admit that the last little bit is somewhat tricky! Our relatively isolated situation is, of course, good for the security and contentment of our guests (and thus, the peace of mind of our clients, as well as the peace of our neighbours! ), but not ideal for passing trade! But once you’ve found us we’re sure you’ll approve of where we’ve chosen to build our business and home. 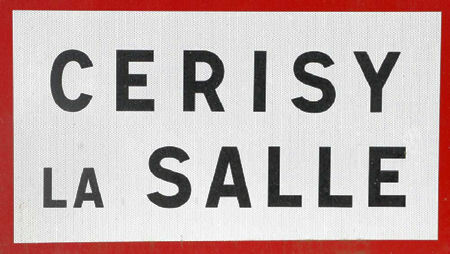 Frankly the best way to find us first time around is to head for the towns of either Cerisy la Salle or Notre Dame de Cenilly, which you’ll find on most good road maps.We’re twixt the two, about 6-minutes from either.Call us from there, and we’d be delighted to come and find you. Easy! Want to try and do it yourself? Well OK, we’re told that ‘Village Tostain, 50210 Notre Dame de Cenilly’, brings most GPS units right to the door. Alternatively, click this link for a map courtesy of Michelin which we think is absolutely superb. Finally, just click on one or other of the links below for some pictorial guidance through the twisty bits from both Cerisy and Notre Dame de Cenilly. At the foot of each page is a further link to a .pdf version which you can download to print out and bring along with you for reference. Good luck, but don’t forget, we’re just a phone call away. It’s probably much easier just to ring us from Cerisy or Notre Dame and we’ll be right out to fetch you!